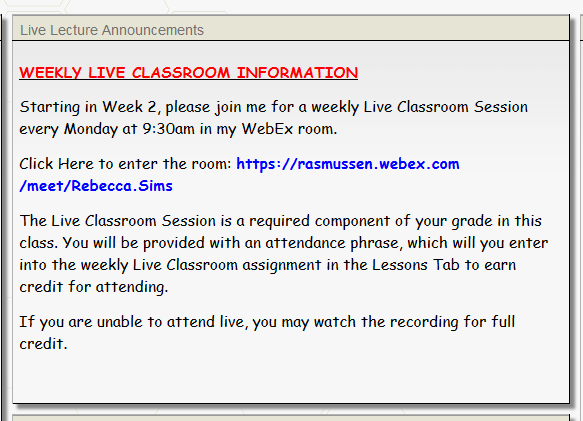 Q. WebEx: Do I have to send a meeting invitation to all my students for every live lecture? And where should I post links to Live Classroom sessions? No, you do not have to send a meeting invitation to all your students for every live lecture. Instead, you can copy/paste your Personal Meeting Room link into the Live Lecture Announcements box on the Course Home page. You may also include these links in the Instructor Info box, in addition to the Course Calendar or Syllabus.